Last week, the Federal Aviation Administration (FAA) stated in a congressional hearing that regulations for commercial drones will be finalized and put in place within one year. Almost immediately after, Amazon said that as soon as these regulations are implemented, they will be ready to launch their drone delivery system, reports the Daily Mail. The company wants to bring packages to Prime members within 30 minutes of an order placement. Amazon already holds patents for drone delivery, including a system that will bring packages to a person’s current location as opposed to a stored shipping address. The FAA has previously voiced their reservations about commercial drone use, stalling Amazon’s plans for drone delivery since they announced it in 2013. Their proposed rules include requiring drones to be within the operator’s eyesight at all times, which limits the distance that they can fly. 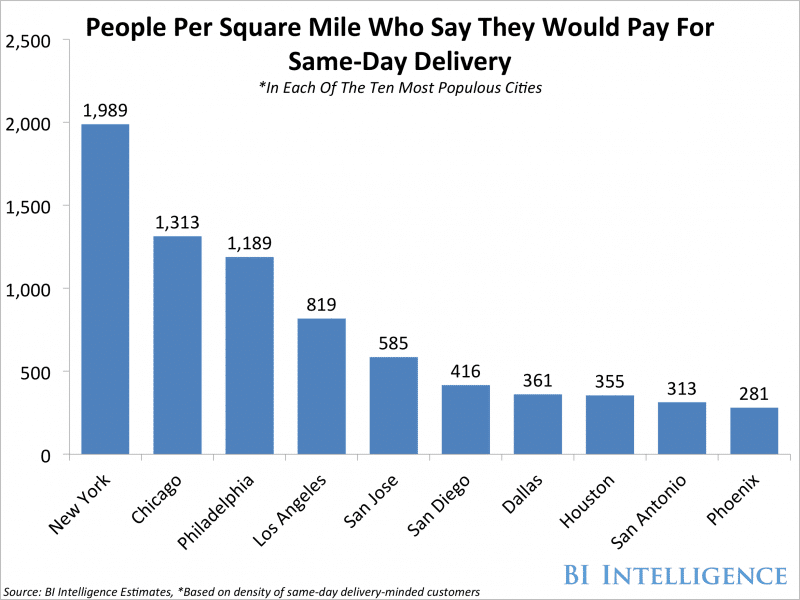 This poses a huge problem for Amazon, or any company that wants to use drone delivery to cover a large area. Additionally, drones would have to remain below 400 feet. The FAA has major concerns about drones entering airspace and putting commercial aircrafts in harm’s way. Currently, the administration receives about 25 reports a month from pilots about drone sightings within the vicinity of planes and airports. Amazon hasn’t announced where they would roll out this system first, but we believe there is strong demand for same-day drone delivery. It is only available to Prime members as of now, and would likely do best in cities like New York, Chicago, and Philadelphia at its launch. This entry was posted in Downsizing USPS, General Union Business and tagged Amazon Prime Now, Amazon’s drone delivery plans, delivery drones, FAA, Federal Aviation Administration, privatization, same-day drone delivery. Bookmark the permalink.